Equipment Rentals Schmidt's & Serafine's Inc.
We have the tools to help the homeowner do the job right! 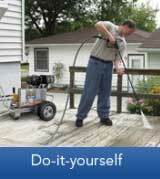 Rent a power washer to spruce up that deck, driveway and sidewalk. Ideal way to clean siding on your house. Carpet Extractors provide quick, efficient cleaning of carpeted areas, upholstery, and fabric covered surfaces, utilizing solution sprayers, scrub brushes, and powerful wet vacuums to achieve fast, professional results. 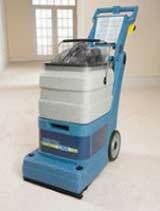 Rent one today for that professional cleaning look! STORE HOURS: MONDAY-FRIDAY 8 A.M. - 7 P.M., SATURDAY 8 A.M. - 5 P.M. AND SUNDAY 9 A.M. - 2 P.M.